Draft: 2005, Florida Marlins, 1st rd. Single … graduated from Palm Beach Gardens (Fla.) High School in 2005 … went 7-2 with a 0.41 ERA, one save and 98 strikeouts over 10 games as a senior. Was with Class AAA Charlotte for its entire season before joining the White Sox active roster in September ... Was 1-0 with a 1.08 ERA (1 ER/8.1 IP) in four relief outings and 0-2 with a 7.36 ERA (9 ER/11.0 IP) in two starts ... His contract purchased from Charlotte on 9/8 ... Made his Sox debut on 9/10 vs. San Francisco, allowing one hit over 1.0 scoreless IP … it was his first major-league appearance since 6/24/15 vs. Cincinnati with Pittsburgh ... Replaced starter Carson Fulmer (blister) with one out in the first inning on 9/21 at Houston … earned the win after allowing just one run over 4.1 IP … marked his first victory since 9/10/12 ... His start on 9/26 vs. Los Angeles-AL (L; 6 ER/5.0 IP) was his first start in the majors since 10/2/12 vs. Houston ... Made 18 starts and nine relief appearances with Charlotte ... Suffered the loss in both of his complete games: 7/3 vs. Gwinnett (4 ER/6.0 IP) and 7/17 at Rochester (4 ER/6.0 IP). Tied for the team lead with eight wins and two complete games and ranked second with 84 strikeouts at Charlotte ... Tossed complete games on 6/30 at Lehigh Valley (L; 2 ER/8.0 IP) and 7/21 at Indianapolis (L; 1 ER/8.0 IP). Tied for third in the International League in wins and ranked fifth in IP at Class AAA Indianapolis ... Allowed just three home runs all season … held opponents homerless in 17 straight outings (15 starts) from 5/13-8/17 ... Tossed at least 6.0 scoreless IP four times: 4/11 vs. Columbus (6.0 IP), 6/6 at Lehigh Valley (7.0), 7/26 vs. Louisville (7.0) and 9/7 at Louisville (7.0) ... Batted .353 (6-17) over 10 games … went 2-4 with two doubles and four RBI on 8/28 at Louisville. Appeared in seven games with Class AAA Salt Lake after signing as a minor-league free agent with the Angels on 7/18 ... Was placed on the disabled list on 8/28 with a strained right forearm and missed the rest of the season ... Played with Doosan of the Korean Baseball Organization. Spent most of the season at Class AAA Colorado Springs, leading the team with seven wins … appeared in six relief appearances over two stints with Colorado ... Made the Rockies Opening Day roster … was optioned to Colorado Springs on 4/19, recalled on 6/12 and optioned again on 6/18 ... Tossed complete games on 8/10 vs. Nashville (W; 2 ER/7.0 IP) and 8/20 at Tacoma (L; 3 ER/8.0 IP) ... Made five starts with Licey of the Dominican Winter League. Made 21 starts with the Cubs after being traded by Miami in exchange for RHP Carlos Zambrano on 1/5 ... Made the Cubs Opening Day roster and made his Cubs debut on 4/9 vs. Milwaukee ... Went 0-9 with a 6.88 ERA (53 ER/69.1 IP) and 41 strikeouts over his first 13 starts of the season. Chris set a career mark with 117 strikeouts in his final season with the Marlins...after going 0-4 with a 5.01 ERA (13 ER/23.1IP) in August, he posted a 2.32 ERA (8 ER/31.0 IP) in September - had four no-decisions in five starts, however...His 2.32 ERA in September was the second-lowest ERA he recorded ina month with at least five starts...he posted a 2.25 ERA in Septemberof 2008...Did not allow more than two earned runs in his last six starts, holdingopponents to a .252 batting average...Tossed a season-high 7.0 innings six times, last done September 23 atMilwaukee...Began the year with the Marlins, but was optioned to Triple-A New Orleans,July 23...made three starts for the Zephyrs, going 1-1 with a4.42 ERA (9 ER/18.1 IP) before being recalled August 12...Hit .196 (9-for-46) at the dish for the Marlins. Posted a 12-9 record with two complete games and 4.58 ERA in 30 starts for the Marlins. Setcareer-highs in wins, starts, complete games and innings pitched (175.0) ... Over his first 17 starts, went 4-8 with one complete game and a 4.78 ERA (98.0 IP/52 ER) ... Tossed his first complete game of the season and second of his career on May 1 vs. Washington,allowing just one run on four hits with one walk and eight strikeouts. Marked a season-high witheight strikeouts in the game ... Took losses in four straight games from May 12-28, marking his longest losing streak of the season ... His best month came in May as he posted a 2-4 mark and 3.43 ERA (39.1 IP/15 ER) in six starts. InSeptember, posted a 4-0 mark with a complete game and 4.46 ERA (36.1 IP/18 ER) in six starts ... Optioned to triple-A New Orleans on July 6. Made three starts with the Zephyrs, going 1-0 with a3.18 ERA (17.0 IP/6 ER) prior to being recalled on July 25 ... Following his recall on July 25, finished the season 8-1 with a 4.32 ERA (77.0 IP/37 ER) over his last13 starts ... Threw his second complete game of the year, third career, on September 20 vs. St. Louis. LimitedCardinals to just five hits in the Marlins 4-0 victory. Marked second career complete gameshutout. Blanked San Francisco on July 8, 2009 at AT&T Park ... Ended the season by winning his final six decisions to mark a career-best win streak. In his eightstarts over the streak, allowed just four home runs and had an ERA of 3.75 (50.1 IP/21 ER) ... Tallied quality starts in 15 of his 30 assignments and limited opponents to three earned runs-or-less20 times ... Made equal starts at home and on road (15), going 6-4 with a 3.57 ERA (93.1 IP/37 ER) at home.When on the road, went 6-5 with a 5.73 ERA (81.2 IP/52 ER). Allowed just three home runs at SunLife Stadium, yet surrendered 14 in other ballparks. Made his first Opening Day roster out of Spring Training and went on to post a 9-13 record and5.21 ERA in 29 starts for the Marlins...Started one game at triple-A New Orleans after being optioned on August 28. Allowed threeruns on five hits with two walks and seven strikeouts in a loss to Nashville on September 6...Recalled by Florida on September 8 and made one start, taking the loss against New York onSeptember 27...Tossed his first career complete game shutout on July 8 at San Francisco. Surrendered five hitswhile striking out six. According to the Elias Sports Bureau, he became the third-youngest playerin Marlins' history to pitch a shutout. Dontrelle Willis threw two shutouts five days apart in 2003,the first one at the ripe old age of 21 years, 155 days old and Anibal Sanchez threw one at theage of 22 years, 191 days old in 2006...From July 21 to August 16, strung together a season best three game win streak (six starts)...Dropped a career-high four consecutive decisions twice; May 31 to June 16 and August 22 tothe end of the season...Struck out nine batters on May 20 vs. Arizona to establish a career-high...Through his first 12 starts, marked a 4-5 record and 3.65 ERA (74.0 IP/30 ER). Over his final 17 starts,went 5-8 with a 6.56 ERA (85.0 IP/62 ER)...His finest month was in April, where he went 2-0 with a 2.67 ERA (30.1 IP/9 ER) in five starts...Surrendered a career-high eight runs on June 16 at Fenway Park against the Red Sox. Started the season at double-A Carolina, where he put up a 4-4 record and 3.36 ERA (91.0 IP/34 ER) in 15 starts for theMudcats...did not allow a single home run in 91.0 innings in theMinor Leagues...named to Southern League All-Star team, butdid not participate as his contract was selected by Florida onJuly 6...Made Major League debut on July 6 at COL...tossed 2.0 scorelessinnings, allowing two hits with two strikeouts, to earn his firstML win...Inserted into starting rotation, July 11 at LAD...in first ML start,tossed 8.2 innings, allowing one run on five hits with a walk andsix strikeouts...he became the sixth player since 1971 to recorda win in his first two ML appearances; one as a starter, the otheras a reliever, and first since Doug Waechter in 2003...the othersto accomplish the feat are: David Nied (1992), John Farrell(1987), John Montefusco (1974) and Monty Montgomery (1971)...He recorded quality starts in nine of his 14 starting assignments...only allowed four or more runs in a game twice (August1 vs. COL and August 23 at ARI), while holding opponents totwo-or-less runs in eight of his starts...Allowed only three home runs in 84.1 innings at the MajorLeague level...tossed a combined 175.1 innings betweenCarolina and Florida, marking the most innings in a single seasonin his professional career...Struck out a season-high six batters on three occasions; July 11at LAD, July 26 at CHI and August 1 vs. COL...Named Marlins' Rookie of the Year by the South FloridaBaseball Writers Association of America. His 12 combined wins in 2007 tied him with Graham Taylor for most among Marlins' Minor Leaguers...was second in organizationwith 118 total strikeouts and finished sixth with an ERA of 3.96...was second among Hammerheads' pitchers with 93 strikeouts and126.0 innings pitched... pitched first career complete-game shutout on June 30 against Lakeland, allowing six hits while striking outfive and walking one batter... pitched second complete game two weeks later in 4-1 loss at Ft. Myers. Played entire season with Greensboro (A), going 11-8 with 3.08 ERA in 26 starts...Went 4-0 with 2.81 ERA in April, winning four straight starts from April 11-27 after receiving no-decision in first start of season...in two of first four wins, blanked opponents in 7.0-inning efforts...held West Virginia scoreless in 7.0 innings en route to win on April 11, allowingthree hits with two strikeouts...allowed just five hits with seven strikeouts and earned win in 7.0-inning start on April 22...won fivestraight decisions from June 27 to August 3, going 5-0 with 1.26 ERA over seven starts during that span...Finished second among Marlins minor leaguers with 11 wins, behind only Jose Garcia (12 wins with Albuquerque, Carolina, Jupiter)...was fourth among Marlins farm hands with .579 winning percentage, 3.08 ERA and 152.0 innings. Spent time with the Marlins' affiliates in the Gulf Coast League (R) and Jamestown (A), after he was selected in the first roundof the June Draft...began season in the GCL and went 1-1 with 2.33 ERA in six starts...charged with first pro decision on July18 at the GCL Mets, a loss after allowing four runs (3 ER) in 6.0 innings...earned first pro win on July 23 against the GCL Nationals,holding them to three runs (1 ER) on seven hits with season-high seven strikeouts in 7.0 innings...promoted to Jamestown onJuly 25, and went 3-2 with 2.13 ERA in seven starts...named to New York-Penn League All-Star Team...after starting 1-2, wonfinal two decisions...held Auburn scoreless on six hits with three walks and five strikeouts in 6.0 innings en route to win on August19...blanked Batavia in 5.0 innings and earned win on September 4 (Game Two), yielding seven hits with two walks and fourstrikeouts. July 31, 2018 Chicago White Sox released RHP Chris Volstad. July 27, 2018 Chicago White Sox designated RHP Chris Volstad for assignment. April 12, 2018 Chicago White Sox selected the contract of RHP Chris Volstad from Charlotte Knights. April 5, 2018 RHP Chris Volstad assigned to Charlotte Knights. January 22, 2018 Chicago White Sox signed free agent RHP Chris Volstad to a minor league contract and invited him to spring training. October 9, 2017 RHP Chris Volstad elected free agency. October 4, 2017 Chicago White Sox sent RHP Chris Volstad outright to Charlotte Knights. September 8, 2017 Chicago White Sox selected the contract of RHP Chris Volstad from Charlotte Knights. August 20, 2017 Charlotte Knights activated RHP Chris Volstad from the 7-day disabled list. August 15, 2017 Charlotte Knights placed RHP Chris Volstad on the 7-day disabled list retroactive to August 13, 2017. 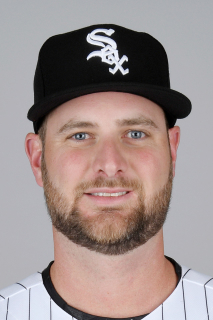 February 28, 2017 RHP Chris Volstad assigned to Chicago White Sox. December 28, 2016 RHP Chris Volstad assigned to Charlotte Knights. December 16, 2016 Chicago White Sox signed free agent RHP Chris Volstad to a minor league contract. November 7, 2016 RHP Chris Volstad elected free agency. March 18, 2016 RHP Chris Volstad assigned to Charlotte Knights. March 17, 2016 Chicago White Sox signed free agent RHP Chris Volstad to a minor league contract. March 12, 2016 Atlanta Braves released RHP Chris Volstad. October 11, 2015 Atlanta Braves signed free agent RHP Chris Volstad to a minor league contract and invited him to spring training. October 5, 2015 RHP Chris Volstad elected free agency. July 3, 2015 Indianapolis Indians activated RHP Chris Volstad. July 2, 2015 Pittsburgh Pirates sent RHP Chris Volstad outright to Indianapolis Indians. June 28, 2015 Pittsburgh Pirates designated RHP Chris Volstad for assignment. June 24, 2015 Pittsburgh Pirates selected the contract of RHP Chris Volstad from Indianapolis Indians. January 30, 2015 RHP Chris Volstad assigned to Indianapolis Indians. January 28, 2015 Pittsburgh Pirates signed free agent RHP Chris Volstad to a minor league contract. September 18, 2014 Salt Lake Bees activated RHP Chris Volstad from the 7-day disabled list. July 18, 2014 Los Angeles Angels signed free agent RHP Chris Volstad to a minor league contract. July 18, 2014 RHP Chris Volstad assigned to Salt Lake Bees. December 27, 2013 Los Angeles Angels released RHP Chris Volstad. November 11, 2013 Chris Volstad assigned to Salt Lake Bees. November 5, 2013 Los Angeles Angels signed free agent RHP Chris Volstad to a minor league contract. October 17, 2013 RHP Chris Volstad assigned to Tigres del Licey. October 1, 2013 RHP Chris Volstad elected free agency. June 22, 2013 Colorado Rockies sent RHP Chris Volstad outright to Colorado Springs Sky Sox. June 22, 2013 Chris Volstad assigned to Colorado Springs Sky Sox. June 20, 2013 Colorado Rockies designated Chris Volstad for assignment. June 16, 2013 Colorado Rockies optioned RHP Chris Volstad to Colorado Springs Sky Sox. June 12, 2013 Colorado Rockies recalled Chris Volstad from Colorado Springs Sky Sox. April 19, 2013 Colorado Rockies optioned Chris Volstad to Colorado Springs Sky Sox. March 29, 2013 Colorado Rockies selected the contract of Chris Volstad from Colorado Springs Sky Sox. March 28, 2013 Chris Volstad assigned to Colorado Springs Sky Sox. February 4, 2013 Colorado Rockies signed free agent RHP Chris Volstad to a minor league contract and invited him to spring training. November 28, 2012 RHP Chris Volstad elected free agency. November 20, 2012 Kansas City Royals designated RHP Chris Volstad for assignment. October 26, 2012 Kansas City Royals claimed RHP Chris Volstad off waivers from Chicago Cubs. August 1, 2012 Chicago Cubs recalled Chris Volstad from Iowa Cubs. July 8, 2012 Chicago Cubs optioned Chris Volstad to Iowa Cubs. July 3, 2012 Chicago Cubs recalled Chris Volstad from Iowa Cubs. May 18, 2012 Chicago Cubs optioned Chris Volstad to Iowa Cubs. August 11, 2011 Florida Marlins recalled Chris Volstad from New Orleans Zephyrs. July 23, 2011 Florida Marlins optioned Chris Volstad to New Orleans Zephyrs. July 25, 2010 Florida Marlins recalled Chris Volstad from New Orleans Zephyrs. July 7, 2010 Florida Marlins optioned Chris Volstad to New Orleans Zephyrs. September 8, 2009 Florida Marlins recalled Chris Volstad from New Orleans Zephyrs. August 29, 2009 Florida Marlins optioned Chris Volstad to New Orleans Zephyrs.